Love caught the travel bug from her parents early in life via family vacations in their RV to nearby state and national parks. They camped and fished their way around Utah, Nevada, California, Oregon, and Arizona. At the end of her freshman year of college, she took her first venture out of the country to live with a host family in Cuernavaca, Mexico while attending a language school. After graduating, Jennifer had the opportunity to travel to Southern Italy and Sicily with a friend. A few years later, she and her friend crossed the Atlantic again to tour Denmark, Sweden and Norway. "At one point, we spent three hours on a ferry crossing the Sonje Fjord to land in a small port town called Gudvangen. It was beautiful! My friend and I stood out on the ferry deck the entire three hours...in absolute awe!" Married in 2004, Love and her husband have also enjoyed traveling together since their engagement. They are especially fond of the giant sequoia trees of Northern California, but their favorite place is Arches National Park and the area in and around Moab, Utah. They try to vacation in Moab annually. "Every place I have traveled and culture I have experienced informs my art and my life. My love for Moab, UT emerges in the bright yellows, oranges, earth tones and Kokopelli images in my paintings. Crisp Cerulean and deep Ultramarine blues remind me of clear Scandinavian skies and beautiful waters. Cadmium Orange is the color of a summer sunset in Assisi. When I put paintbrush to paper, I feel the warmth of the summer sun or the fresh, salty breeze on my skin. I feel the exhilaration of completing the hike to Delicate Arch." As a child, Jennifer enjoyed coloring and drawing (as most children do), but she was more focused on performing arts. She studied ballet for ten years and tap dancing for eight years. At age 14, after realizing that dance was not her calling, she turned her attention toward fine arts. Inspired by her Junior High teacher, artist Lester Lee – who gave her just the right amount of encouragement, advice, and constructive criticism – Love decided she was a visual artist and never looked back. She reconnected with Lee as an adult when she signed up for a workshop he was teaching. That connection led to a friendship that is invaluable to her and has contributed greatly to her growth as an artist and person. Jennifer was awarded an art scholarship and earned a minor in Fine Arts from Westminster College of Salt Lake City. She had been encouraged to pursue art, but not as a profession. "Art was to be a 'hobby' that I could turn to for stress release. I was focused on getting a business degree - something practical that would pay the bills. My dad treid to talk me into studying graphic design, but I had my mind set on a Marketing degree at that time." Upon earning her degree, she began working an entry level position in marketing research for a local television station. She later completed a Master of Professional Communication. "After I finished my MPC, I bought my first house. I was able to create a studio space and I realized it was time to follow my passion. That was when I got intentional about pursuing art seriously." Love joined the Utah Watercolor Society (UWS) in 2003 and later became a member of the Virgin Valley Artists Association, the Intermountain Society of Artists (ISA), the National Watercolor Society, and the American Watercolor Society. She has exhibited in several UWS and ISA shows locally and served as the UWS President for the 2017-2018 year. 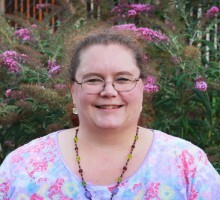 Jennifer was a member of Local Colors of Utah artists’ co-op gallery in Salt Lake City, UT from 2010-2011 and again from 2016-2017, and she has been online at Xanadu Studios since 2011. Jennifer prefers painting on Arches 140 lb cold press watercolor paper using M. Graham watercolor paint. She utilizes wet-in-wet, pouring, dry brush, stamping, and cutting and weaving techniques in her paintings. She works from her home studio. Born in Newport Beach, CA, Love’s family moved to Woods Cross, UT when she was three months old. She lived in the same house in Woods Cross for 23 years before moving to Salt Lake City, UT. Love and her husband ultimately ended up back in her childhood home when they purchased it from her parents in 2006. They are enjoying raising their children and updating their house and yard as time and opportunity permits. Even though much happiness in life comes from creating art, Jennifer’s greatest joy lies with her family. Nothing brings more fulfilment to her life than time spent with her husband and sons. She contributes a percentage of her annual art sales to Parkinson’s Disease research in support of her husband who was diagnosed with Early Onset Parkinson’s Disease in December 2006. Every day she is inspired by his sweet nature and unending support, by his patience with their two boys, and by his quiet determination to enjoy life despite the daily challenges he may encounter. "He is my biggest fan, my best friend, and we have many life adventures still to come!"